For performance and versatility, there are few combination machines that can match up with the Samsung WD80K5410OW. The user gets excellent results for cleaning clothes, and it even does well on the drying function. Add in the wide range of options, and it makes for a washer dryer that is well worth the added expense. 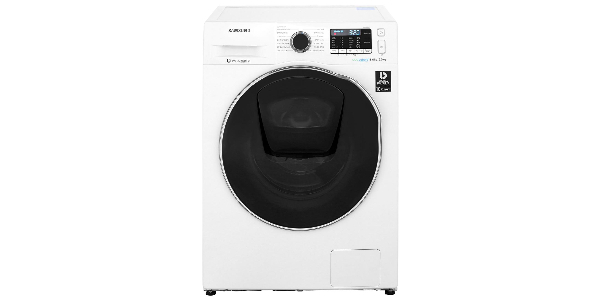 The Samsung WD80K5410OW is a washer dryer with a smart design, and it comes with so many nice features for washing and drying clothes. Along with that, this machine delivers good performance for both washing and drying. It also scores well for efficiency, with an estimated annual operating cost of about £167 for washing and drying combined. On the washing side, this machine has an 8kg capacity, and it can handle up to 6kg for drying. This machine employs the use of an array of different technologies to enhance the results for both functions. 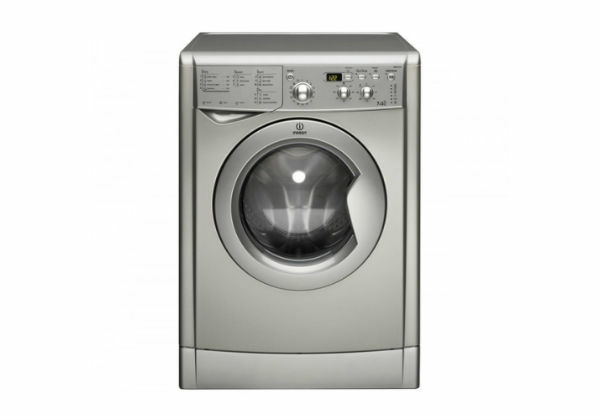 It has Samsung’s diamond drum for better fabric care, ecobubble technology to assist detergent with penetrating fabrics, sensor drying and it has the Air Wash feature for sanitising and deodorising clothes. For washing, the WD80K5410OW comes with a nice selection of programmes and options. It has a total of nine washing programmes. In this selection, you have your cottons and your synthetics wash, plus it has programmes for baby clothes, outdoor care, wool, a fast daily wash, super eco wash and a 15-minute quick wash. In addition to the programmes, you can add up to five rinses, a pre-wash, an intensive wash feature, and it has Samsung’s stain removing bubble soak feature. Compared to many of the other combination machines on the market, this model performs remarkably well for drying clothes. 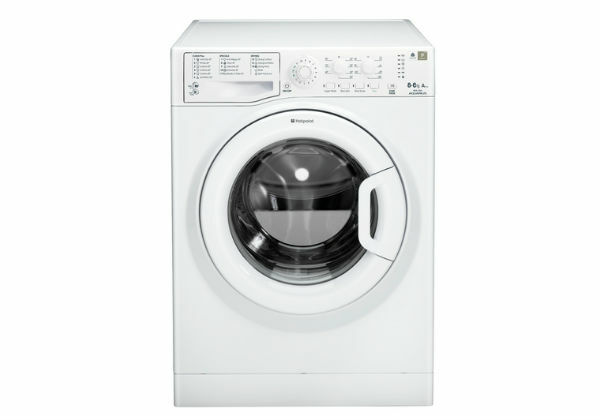 It has options for sensor drying and timed drying, and it has temperature settings for synthetics and cottons. You can also change the dryness levels and the Air Wash feature is great for sanitising and removing odours. The timed drying can be set to 30-minute increments with a maximum timed drying option of 270 minutes. This Samsung washer dryer is easy to use and all of the features make it one of the more versatile models that you will find. Users will probably need to spend a little time with the user manual to learn all of the operations, but it is not particularly hard to learn all you need to know about this model. It’s just a dial for picking your programmes, and you have buttons for adding features and making adjustments. One feature that also adds to the convenience of this machine is that it has the AddWash door. With this door, you can add items even after the wash has started. Never again will you stand cursing that one rogue sock left on the floor. As far as build quality goes, there isn’t much to worry about with this model. It has a durable construction, and it has some features that make it easy to care for. It has a cycle for automatic drum cleaning, and the user can even use a Smartphone app to check for faults. This machine also comes with a 5-year warranty, which indicates significant confidence on the part of the manufacturer.